Africa Human Rights Day is observed on 21 October, as a result of entry into force of the African Charter on Human and Peoples Rights in 1986. This year marks the 33rd anniversary of the existence of the African legal instrument ratified by all 54 African Union States. The Charter guarantees civil, political, economic and cultural rights. The enjoyment of these rights by African citizens depends entirely on the state’s political will to domesticate these rights and implementation of court decisions. While South Africa has made strides in ratification of regional Protocols, little is done to domesticate the African Charter. Although Article 25 obliges states to educate citizens about the Charter through research and awareness raising, this regional mechanism remains unknown by citizens especially at community level, which creates tacit barriers for the advancement of our democracy and citizen participation. The Charter also imposes a duty upon the state to respect the independence and impartiality of national institutions. In South Africa these institutions are empowered to function without fear, favour and prejudice. The state also has a duty to ensuring strengthened operations and capacities of these institutions and their accessibility to communities. The Charter also places responsibility on the state to submit periodic reports every two years to the Human Rights Organ of the African Union demonstrating measures taken to effect provisions of the Charter. These are new guidelines adopted by this organ to assist states parties develop country reports which include situations of women human rights. Human rights NGOs such as HURISA have assisted the government in preparing its draft periodic report as far back as 2010. The latest CSO contributions were presented in June 2013 to officials from the Department of International Relations and Cooperation as well as the Department of Justice and Constitutional Development. However the state has failed to submit the country report and pledged to do so after the installation of the new administration. The new administration has been in power since June 2014 with more or less officials that were in power before the May 7 2014 national elections. As a result, South Africa’s human rights record reflects the last report submitted to the African Commission in 2005. This means the country is behind with 4 long overdue reports that need to be submitted to the African Commission on Human and People’s Rights. 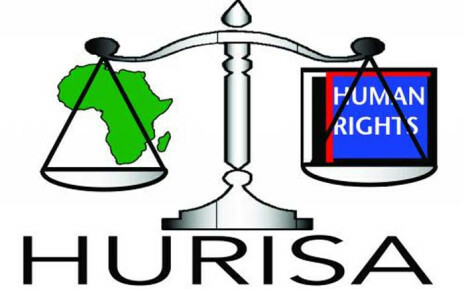 HURISA and partners are calling upon the South African Human Rights Commission and the Commission for Gender Equality to urge the government to comply with its AU obligations by bringing up to date all its overdue reports to the African Commission and ensuring timeous submission of its human rights reports to relevant human rights bodies.